The “Secret” Anti-Aging Diet is at your Fingertips | Hormone Replacement | Functional Medicine Weston, Fl. For centuries, humans have been fascinated with the idea of a “fountain of youth” because we seem to be petrified of aging and fading away. With the advent of technology and scientific research, we have been able to increase our resources and life expectancy is much higher than it used to be, but we know that we are not eternal and that aging is inevitable. What’s interesting is that we are living longer, yet we are not necessarily living “better” than our ancestors because we continue to see disease affecting us. In addition, our days seem shorter because we are too busy with our daily lives and trying to meet all the demands of this modern society. Most people still want to optimize overall health and live a good quality of life so they turn to vitamins, powders and all sorts of procedures that will help them get there. Although it is great that we have so much at our disposal, sometimes we fail to see that the most powerful tool we have to meet our needs and create longevity is what we put into our bodies day in and day out. The good thing is that no one civilization holds the secret to the anti-aging diet—now more than ever, we have all sorts of food available. The problem is we err on the side of convenience, sometimes, and neglect to see that we have a choice to select food items that are in harmony with our biological systems and our essence. It is no secret that processed foods are to blame for the obesity epidemic in our country. These are also linked to a long list of other health issues to include, of course type II diabetes and heart disease. If you are looking for the magic pill to staying young and enjoying a long life, start with your diet and incorporate some exercise for a boost of energy. Fish – this food is rich in omega-3 fatty acids, which the body needs to survive but cannot produce on its own. Cruciferous vegetables-These are plant like vegetables rich in all sorts of vitamins, minerals and antioxidants. Examples include kale, cauliflower and broccoli. Garlic – It has antibacterial and antifungal properties. Garlic also acts as a blood thinner; helps reduce cholesterol and high blood pressure. Ginger – it contains medicinal properties and it is an anti-inflammatory helpful in reducing pain. It also aids digestion. Whole grains – these are a good source of carbohydrates, which fuel the body. They also provide vitamins, minerals and most importantly, fiber. Change doesn’t happen overnight but progressively. 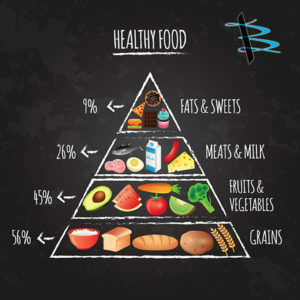 If this list seems out of your reach or you simply feel overwhelmed by too much information, at Bellissimo Medical LLC we can help get you get started and guide you through the process of optimizing your health. Call us today and schedule your free consultation at 954.384.8989. Dr. Jean-Claude Nerette is Board Certified in both Internal Medicine and Functional Medicine and Stephanie Muniz Nerette is a Board Certified Nurse Practitioner and a Diplomate to the Board of Anti-Aging Medicine. Bellissimo Medical LLC is located at 2665 Executive Park Drive, Suite #3, in Weston.